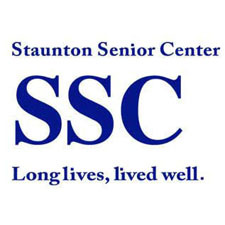 Eighteen members at Staunton Senior Center have been assessed for the new SAIL (Stay Active & Independent for Life) exercise program which is set to begin on Tuesday, February 4 at 9:30 a.m. Although not all of these members may be actively participating in the program, the Center as a whole has gotten an introduction to SAIL. The fitness times are to be offered twice a week, on Tuesdays and Fridays in addition to Exercise with the Y, Sit & Fit, and Lite & Lively on other days. SAIL incorporates warm up, aerobics, balance, cool down, and strengthening exercises and may be done standing or seated. The Program Director will be leading exercise, stressing to members to work at their own pace. Some interesting things developed from the members having the assessments such as the fact that one of the SSC members has been participating in Senior Olympics for the past few years and has been having trouble finding other older adults to form a team this year. Anna Stell from Interim Health was assisting with the assessments, and she is going to try to find some other people who may be interested in the Olympics. Also a couple of the ladies were referred to have a fall risk assessment which was offered at the Center in January as well, based on some things that the assessors noted during the SAIL assessments.